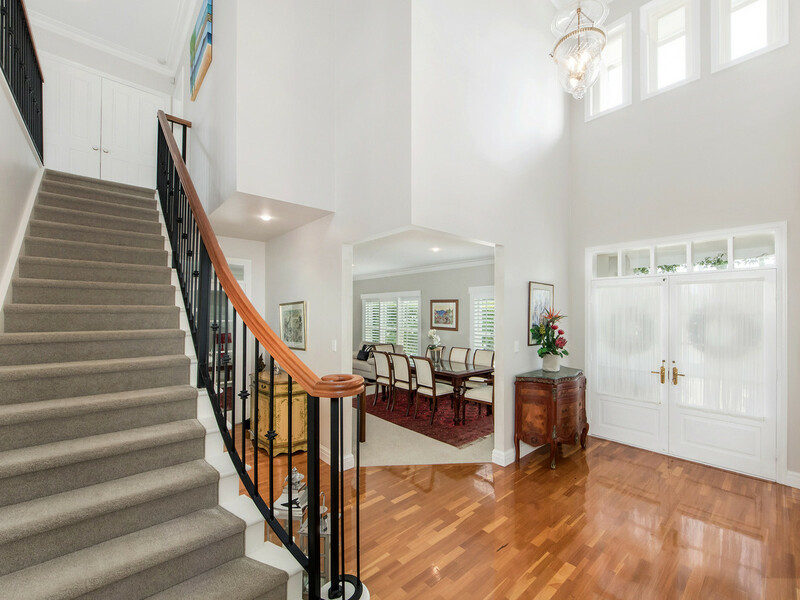 Motivated sellers - this could be your new home! 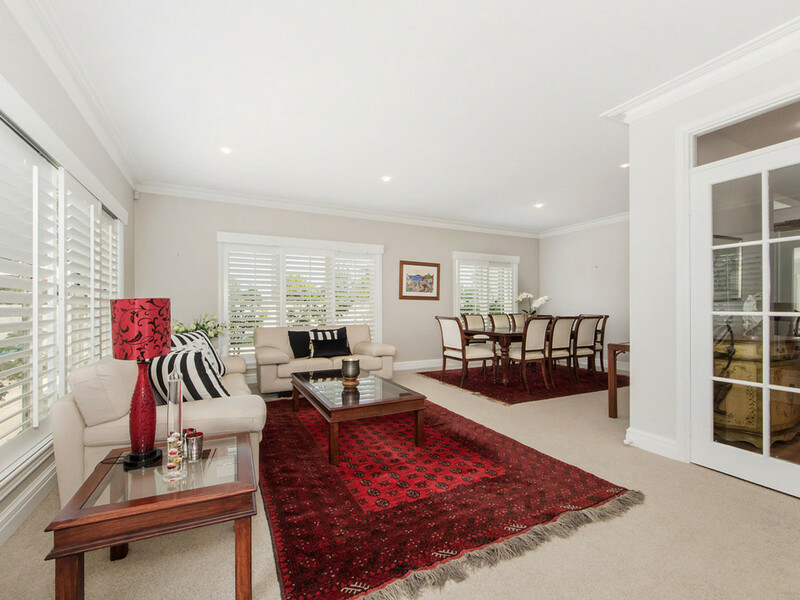 This beautifully presented family home has both serenity and an amazing outlook and it is located in a very desirable street only 7 minutes from the M1. 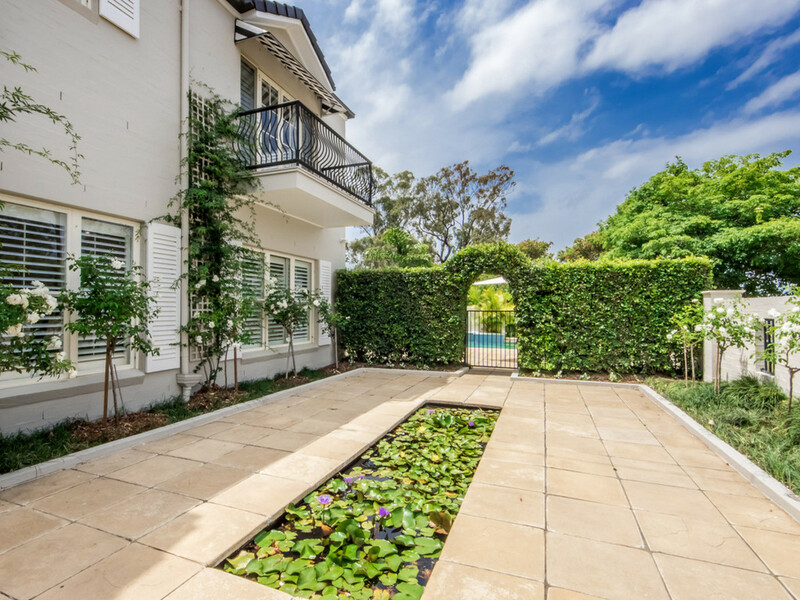 It is complimented by private, beautiful, landscaped gardens and from the minute you walk through the door you will be impressed at the design and quality finishes throughout. 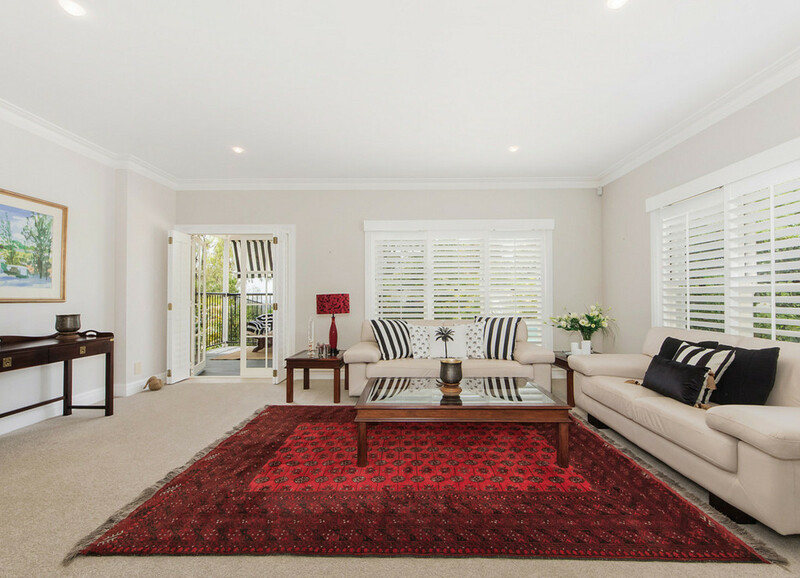 Practical in design and complemented by high-quality fittings and detailed finishes, this spacious executive home with multiple entertaining areas is a family home with so much to offer. 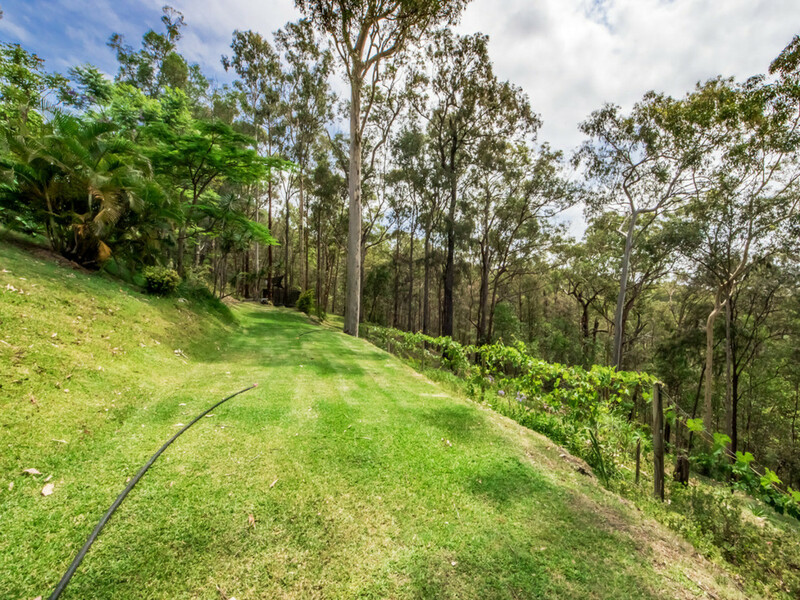 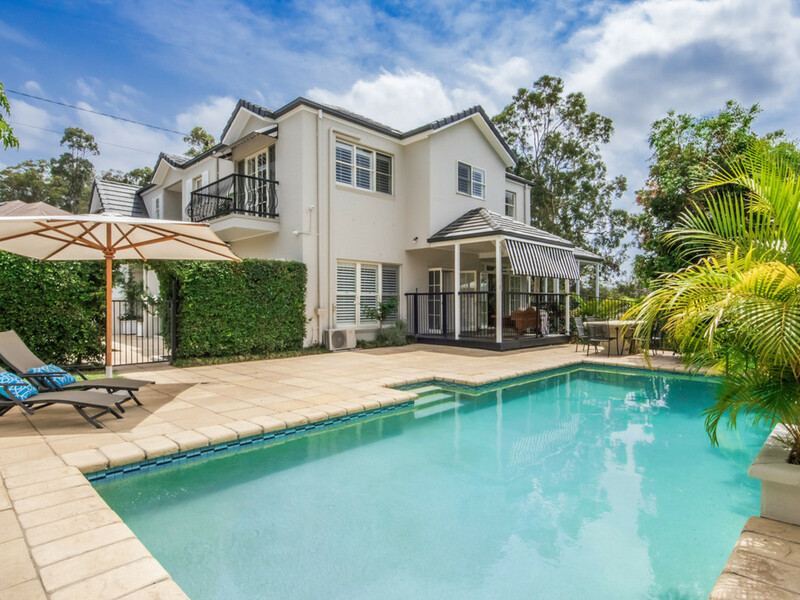 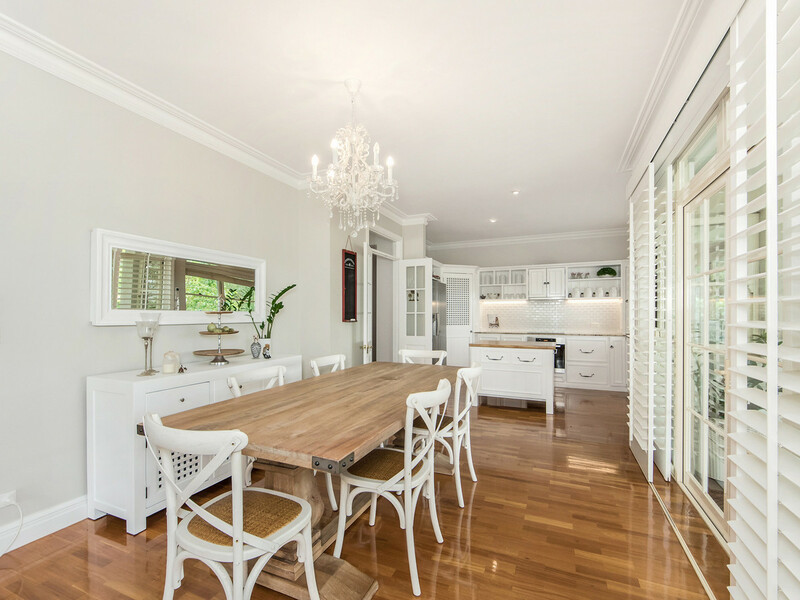 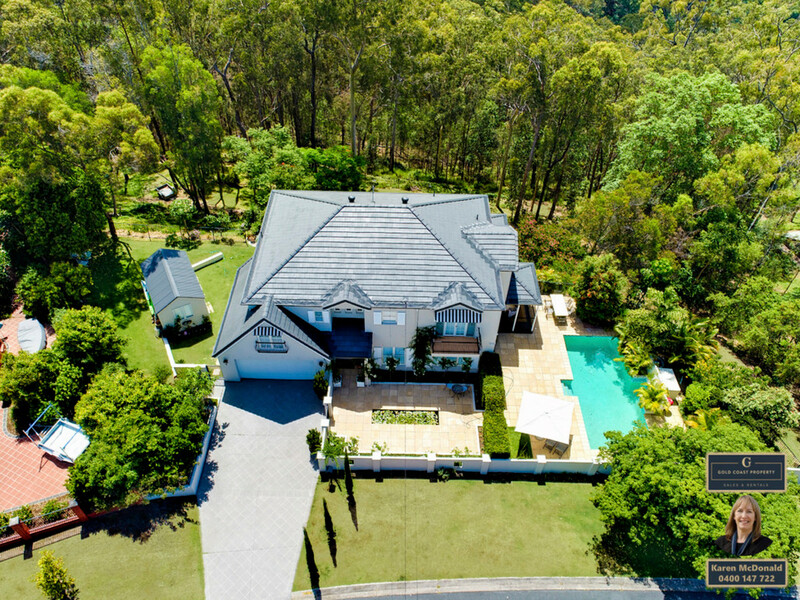 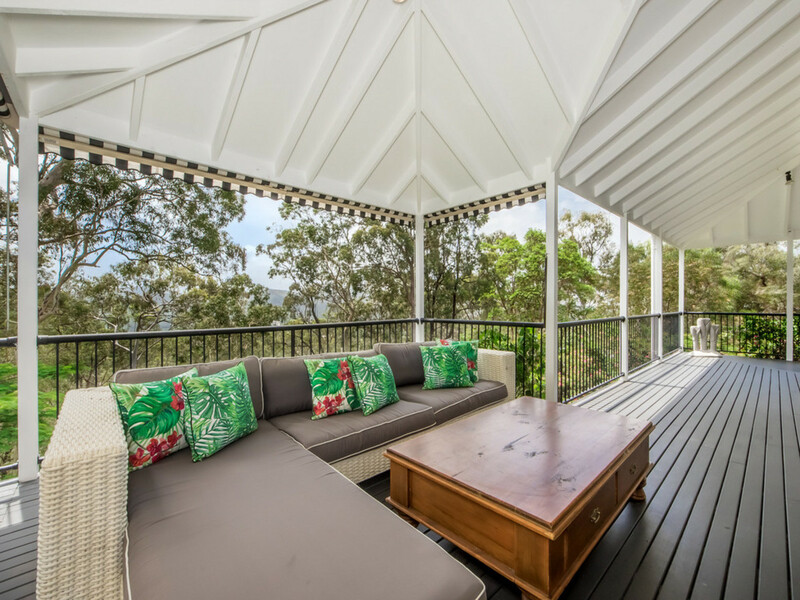 With eye-catching street appeal this magnificent residence is situated in the highly desirable, Mudgeeraba Hinterland. 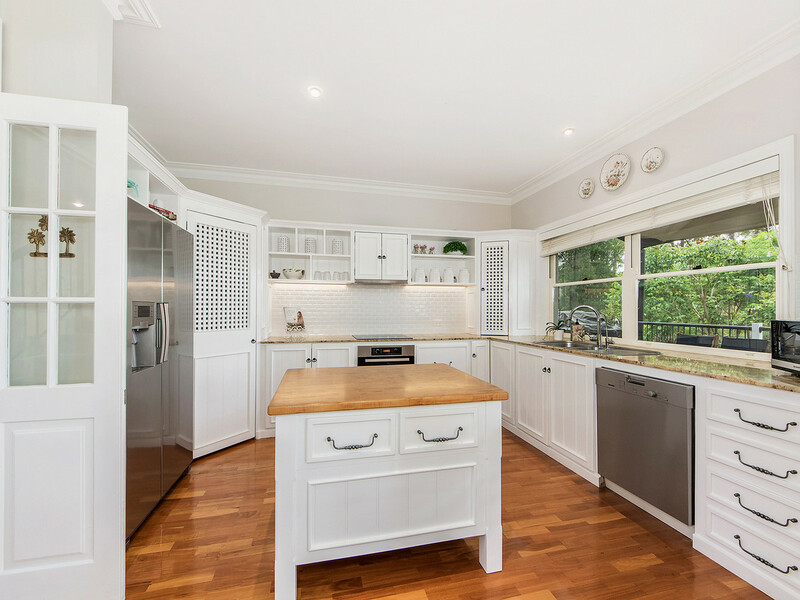 From the updated kitchen window or one of the aspects from the veranda you overlook a private bushland setting of grass trees and grape vines. 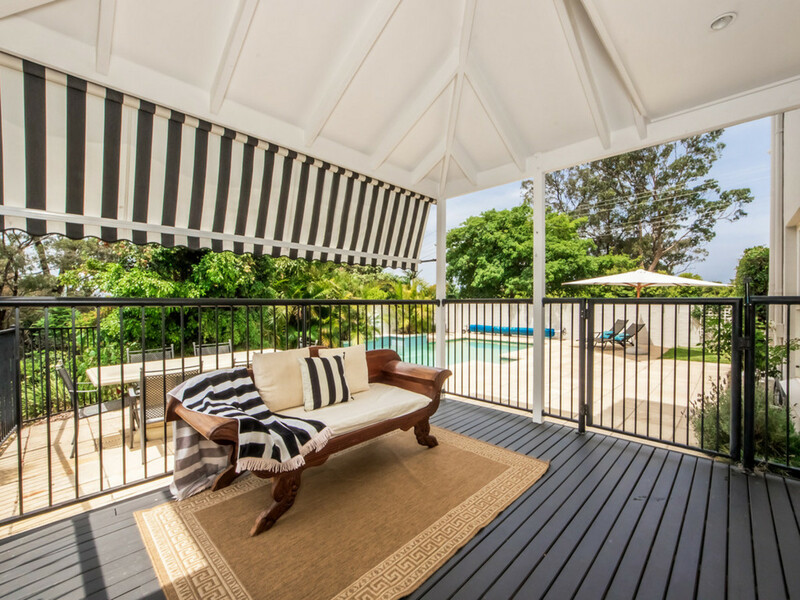 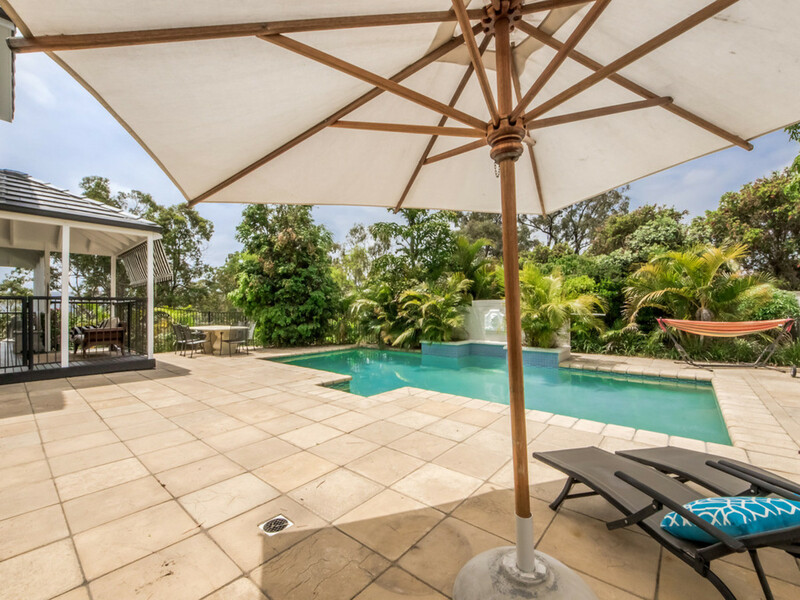 This home flows seamlessly onto the covered outdoor entertaining area with hardwood timber decking and alfresco lounge looking out to the gorgeous in-ground pool surrounded by a natural oasis. 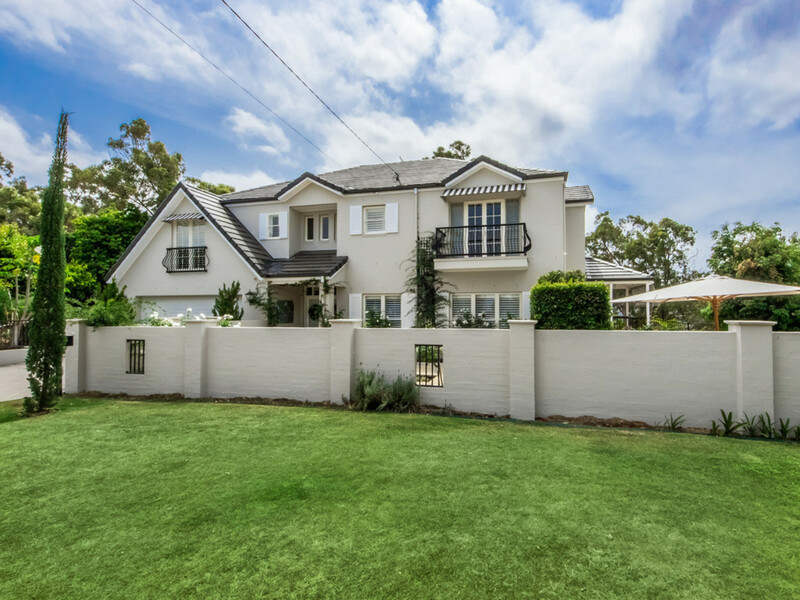 The outside cladding and roof has been freshly painted leaving nothing left to do to improve this stunning home. 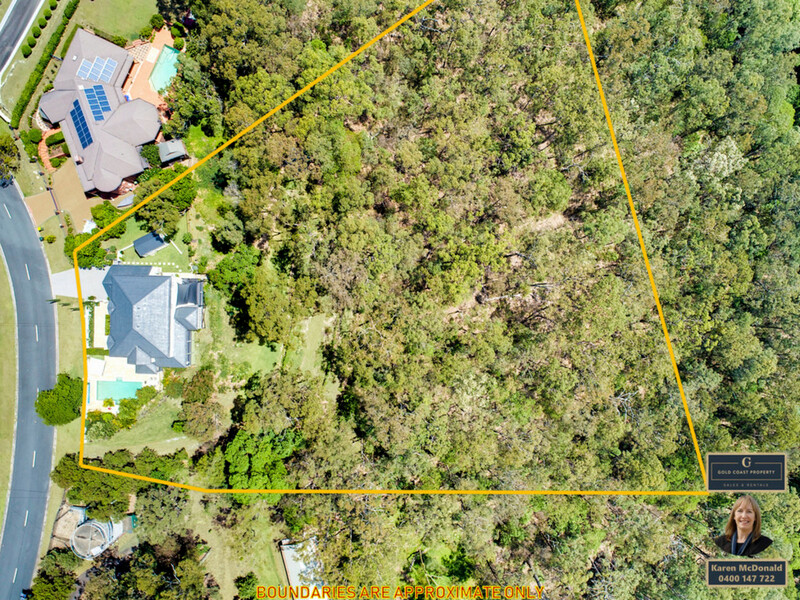 This extremely private 7807m2 block is special with plenty of space for the family to enjoy and wildlife right at your doorstep, enjoy the koalas, wallaby’s, kangaroos and an array of bird species. 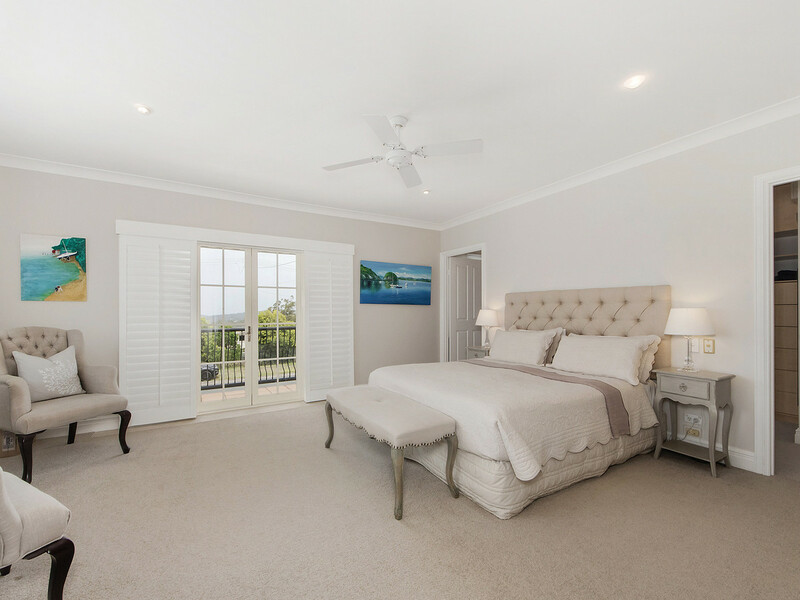 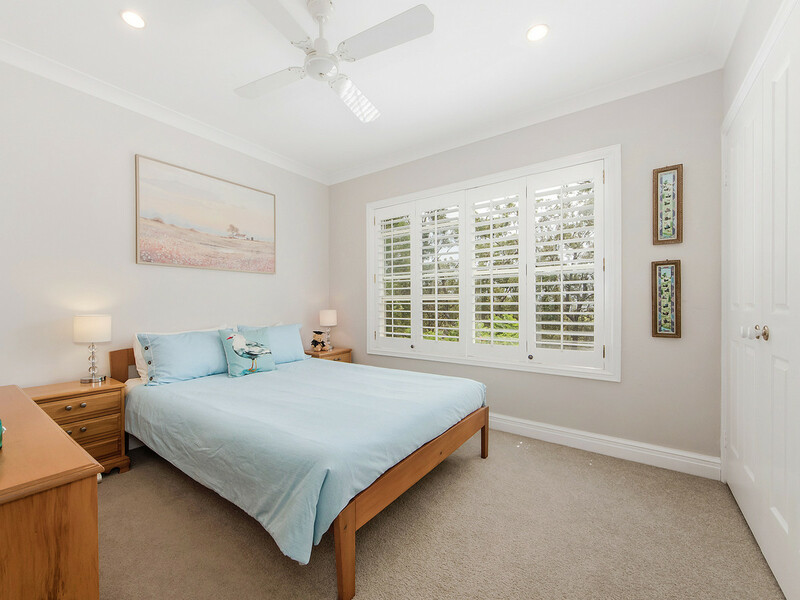 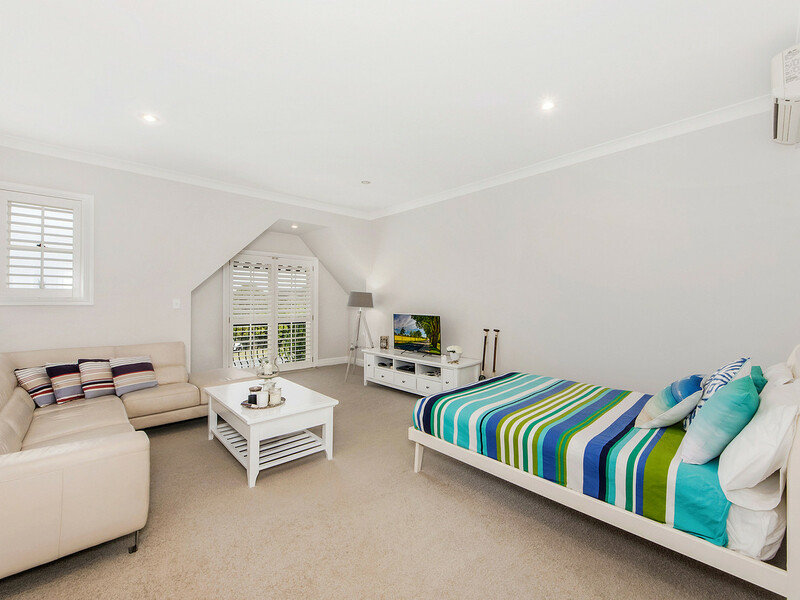 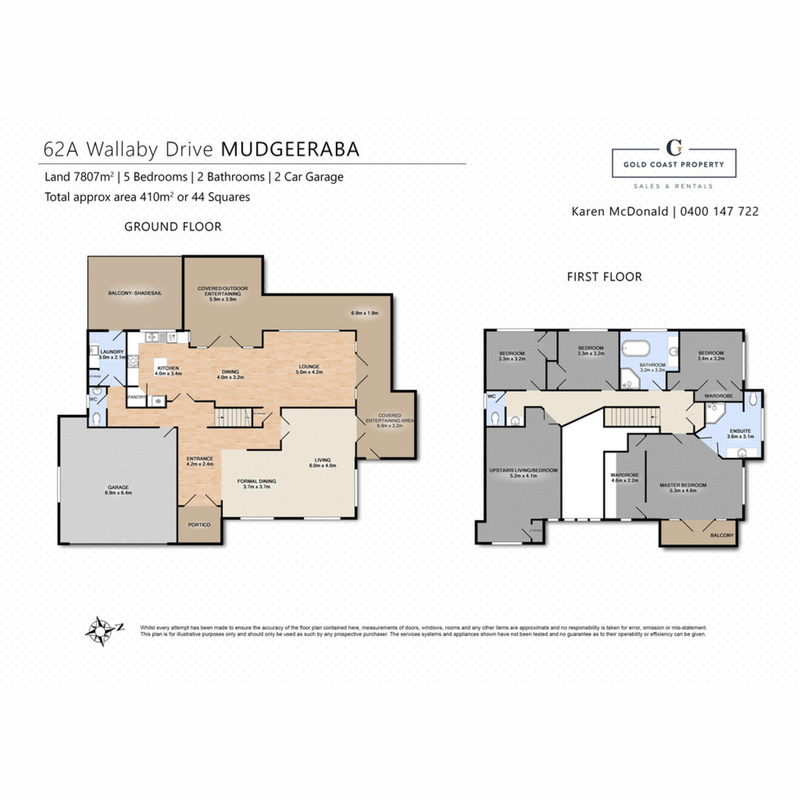 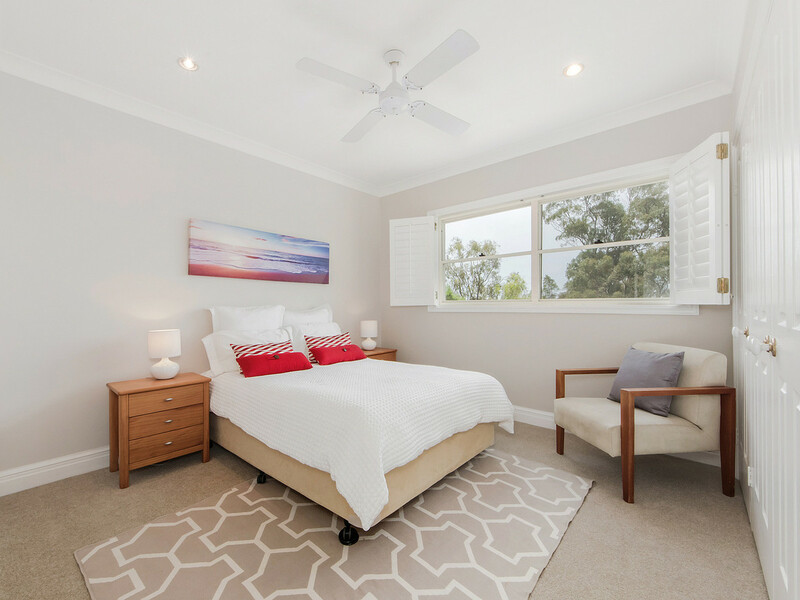 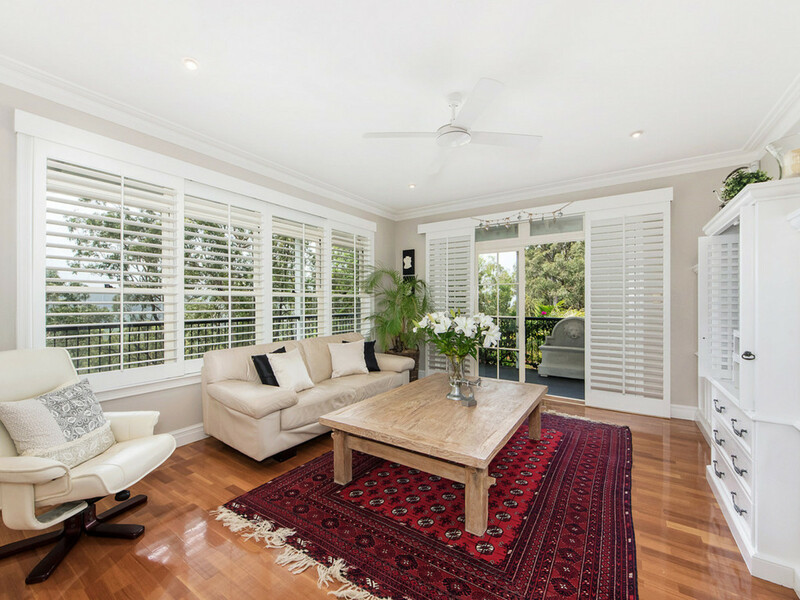 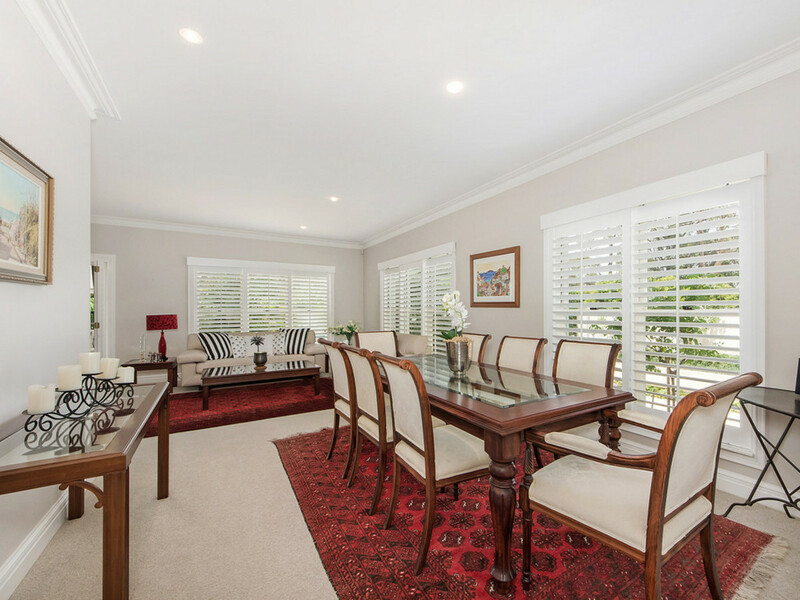 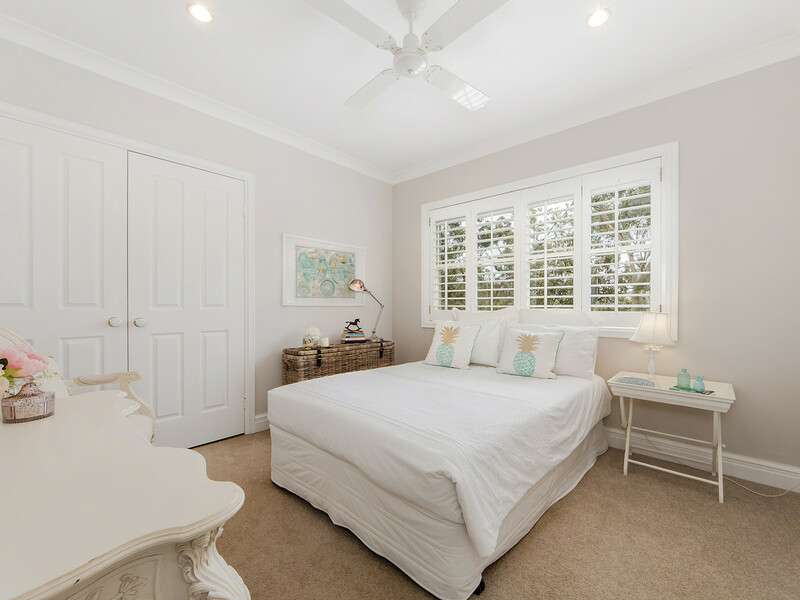 Enjoy all the benefits of this excellent location, within 8 minutes (5.9km) from shopping and restaurants where you can savour superb local dishes, golf courses, Robina shopping village, train station and hospital 13 minutes (8.4km). 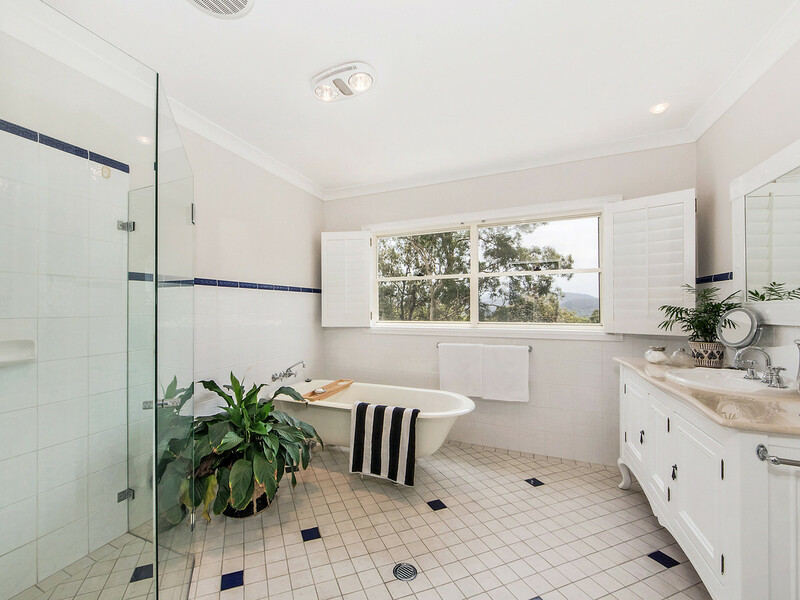 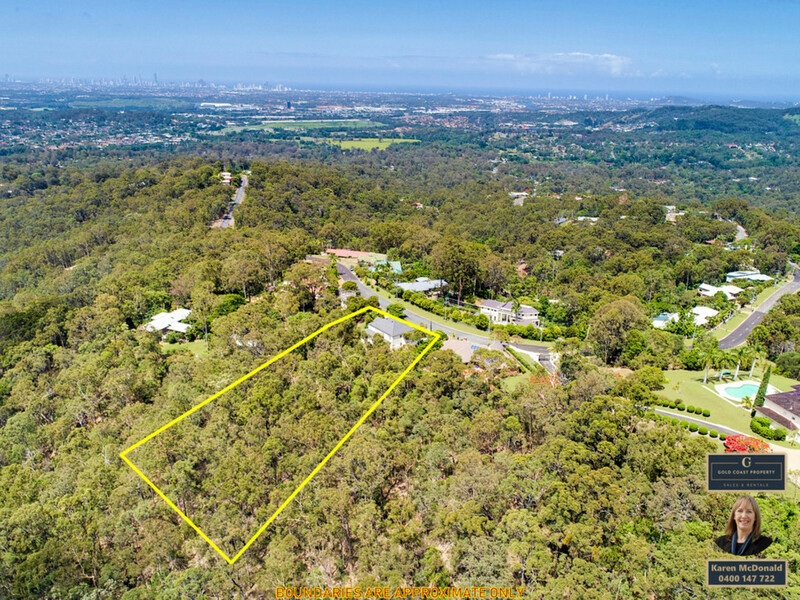 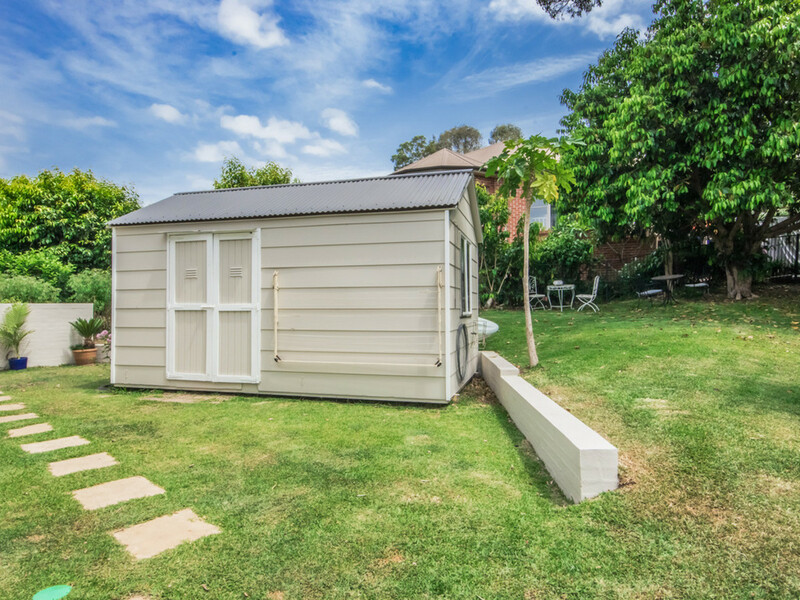 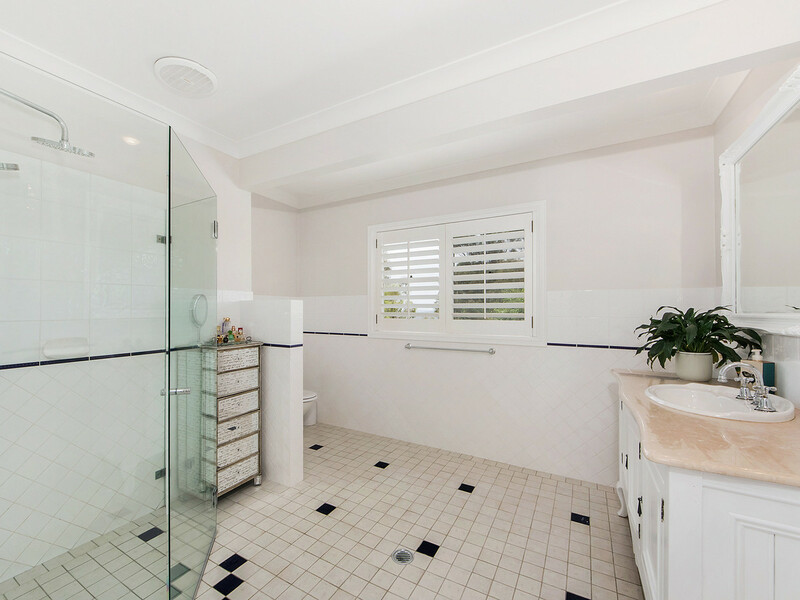 Private and public schools, Somerset College, Clover Hill State School 10 minutes (7.3km) and All Saints Anglican School 14 minutes (8.7km) while the famous white sandy Gold Coast beaches such as Burleigh Beach is only 23 minutes away (15.6km). 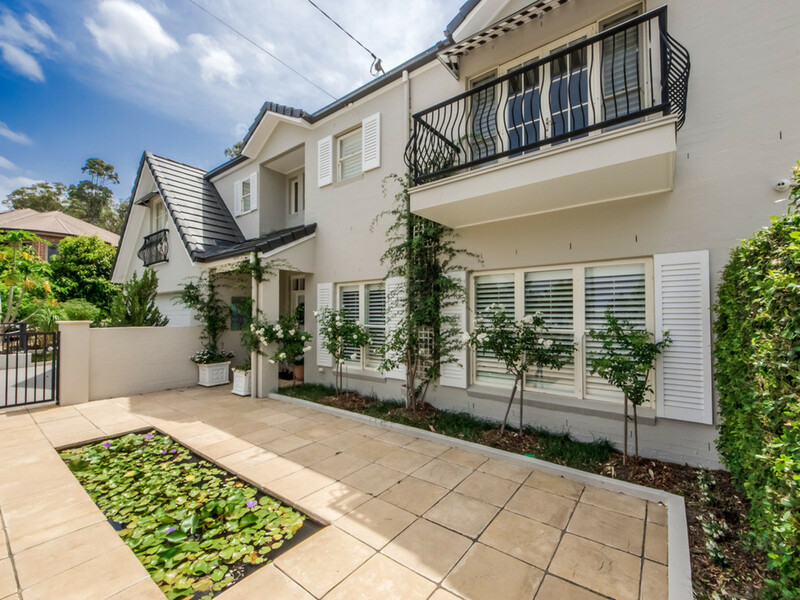 Please don’t hesitate to call me to discuss this property in more details or arrange a private viewing.